On this delightful 30-minute Gondola ride, you will get the chance to marvel at the Mozart House, as well as the worldwide famous La Fenice Theatre. You will proceed along the Rio (Canal) “De le Ostreghe” leading into the most enchanting part of the Grand Canal, where you will admire the Peggy Guggenheim Collection. 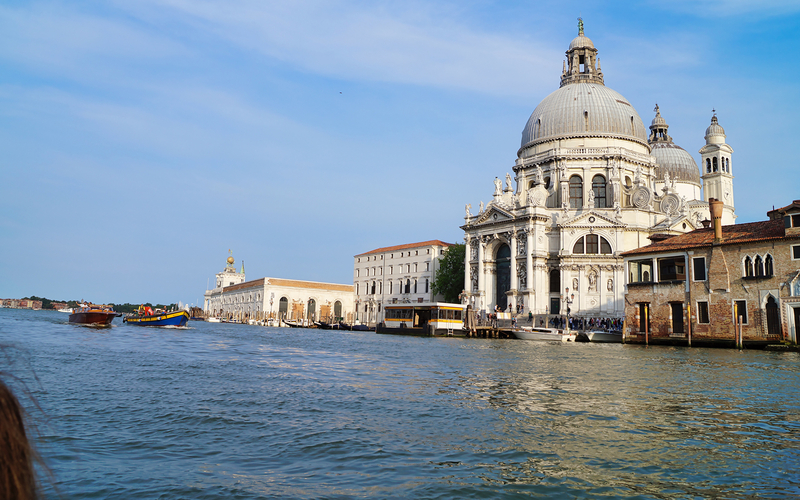 You will also cruise past the Salute Church and Punta della Dogana. Enjoy great views of Venice's top attractions from a unique vantage point. You will enjoy unique breathtaking views of the Doges Palace and of St. Mark's Bell Tower, perfect for a photo-op! With hassle-free skip the line access to this gondola ride, you will also benefit from immersive commentary provided by a handy multilingual audio guide app. Remember to carry your own earphones/headsets! This app is a convenient way to tour the charming canals of Venice without using bulky audio guide sets. You can explore the city at the comfort of your own mobile device and enjoy commentary in 8 languages! Just download the app and enjoy commentary in English, Spanish, German, Japanese, Russian, Chinese, Italian and French. 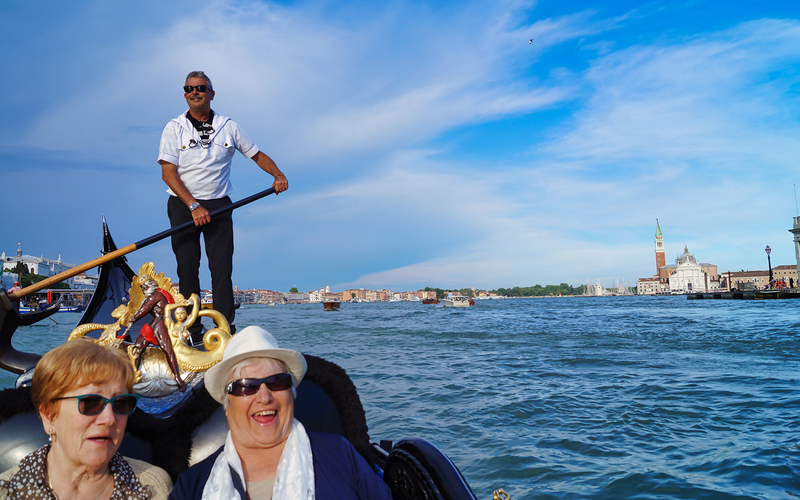 This tour is perfect for those who are looking for a typical Venetian experience as well as an immersive history lesson on the floating city! With tours like these, we guarantee you a picture perfect visit to Venice. Enjoy the grandeur of Venice through its canals in the iconic gondola with skip the line tickets on a 30-minute shared gondola ride. 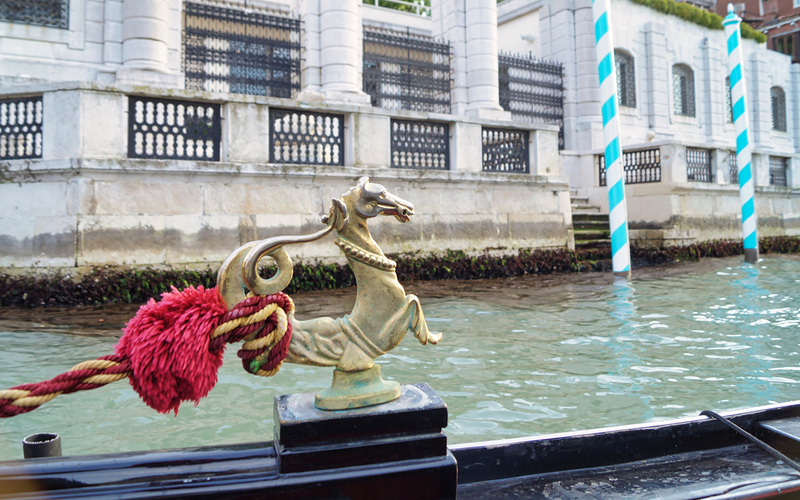 Explore the waterways and the celebrated parts of the Grand Canal including the Peggy Guggenheim Collection, Desdemona’s House and Mozart’s House. Immerse yourself in the opulence of Venice and learn about its vibrant history with a handy multilingual audio guide app. Your seat is non negotiable: The gondolier will be determined what seat you will sit in according to each guest's weight. The tour will only be cancelled in case of extreme weather conditions or a gondolier strike. The itinerary may change in cases of wind or bad weather. Please note that this is a shared tour, it is not a private gondola ride. From November to April, there is a tour everyday at 11:00 AM and 04:00 PM. Entry for children below the age of 2 is free, as long as the child does not occupy a seat of his/her own. Children over the age of 2 pay full price. Make sure you assemble at Ground floor colonnade in front of Correr's Museum and post office (POSTE ITALIANE) in Saint Mark's Square, 15 minutes before departure. 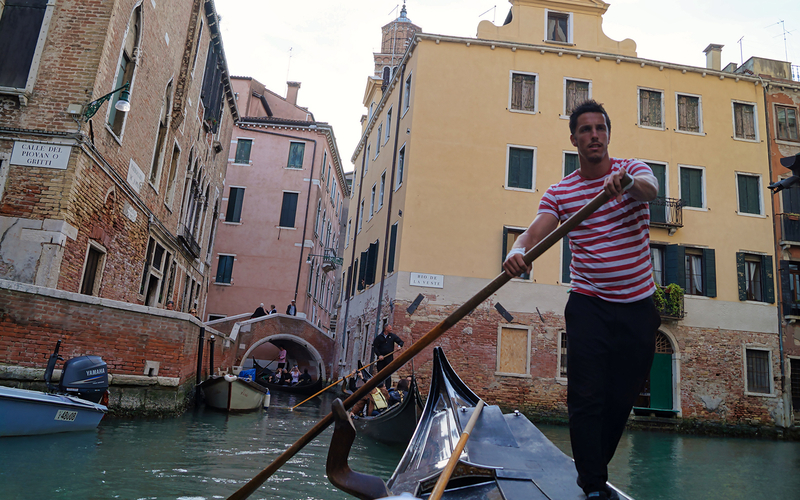 You will receive an email confirmation with your Venice Gondola Ride with Audio-Guide vouchers shortly. You may display your voucher on your mobile phone at the meeting point. Please download the guide app before the tour. Priority access to a 30-minute shared gondola ride. Map with a description of attractions. Headphones. (Ensure you bring your own).